NWA 5205 provides a unique glimpse at conditions present in the early solar nebula. 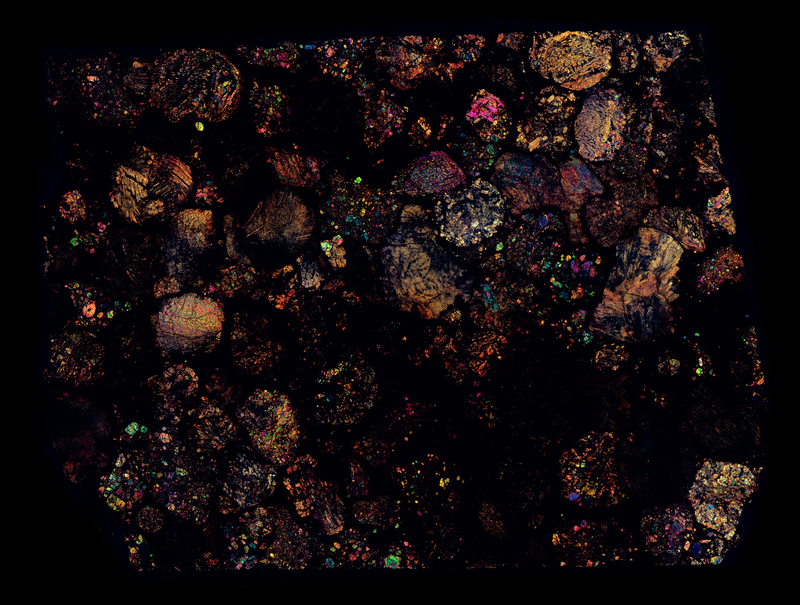 If you look closely at the chondrules you can see many deformed ones. Here is a link to an informative paper written by Knut Metzler about NWA 5205. This paper investigates these deformed chondrules, along with other unique properties, and suggests that rapid cooling occurred while the chondrules were in the process of accretion.